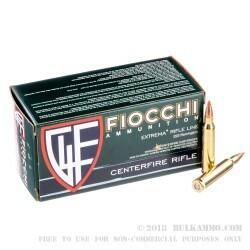 Fiocchi's 223 ammo loaded with 50 grain V-Max projectiles made by Hornady is a great combination. 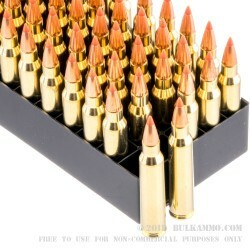 This ammo achieves accuracy that comes close to rivaling match grade accuracy at a fraction of the price. 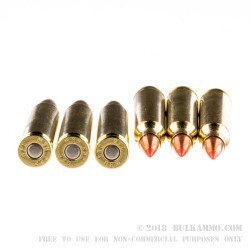 Whether you're looking for a very accurate round or are planning on going out West on a prairie dog hunt, this ammo is a great choice. The V-Max bullets are designed to fragment on impact making them very effective at dispatching small game and other varmints. 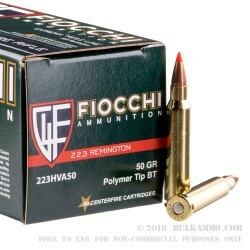 Fiocchi ammo is based in Lecco, Italy where their manufacturing operation was established in the 1880's. Today, Fiocchi is still managed and operated by many of the Fiocchi descendants both in the US as well as in Italy. Fiocchi has invested heavily in expanding their US production capabilities at their Missouri location and has earned a great name for themselves in the shooting community.